The changing tides of the cannabis legality status culminated in 2018, when Congress made hemp and its derivatives federally legal. This was a marked milestone for the momentum that has been steadily rising, with more and more states legalizing it. 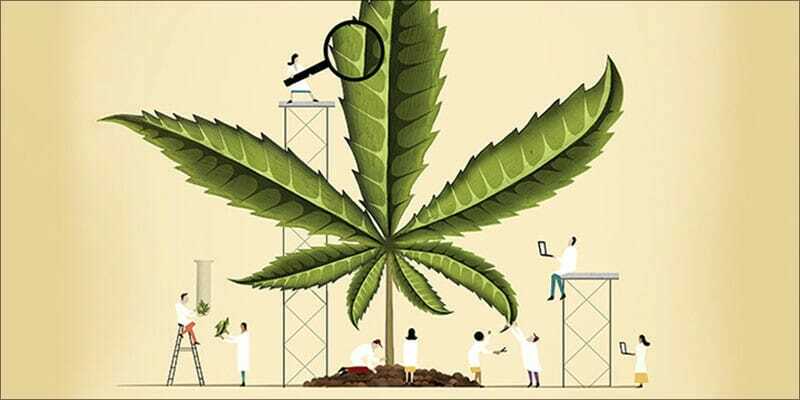 With the increased interest in the components of cannabis, more studies have been conducted, giving science a chance to learn more about its properties. The two main cannabinoids in the cannabis plant are THC (tetrahydrocannabinol) and CBD (cannabidiol.) Special interest in CBD has been spurred on by the fact that it is a non-psychoactive cannabinoid (unlike THC which does get you high) with a seemingly endless list of health benefits that, when derived from hemp, is legal in all 50 states. CBD has been found to have healing effects and symptom abating properties for a plethora of ailments, including multiple sclerosis, epilepsy, arthritis and many more. But perhaps one of the more exciting illnesses it has been linked to fighting is cancer. Among the long and continuously growing list of afflictions and ailments Cannabis and CBD seem to have powerful effects on is cancer. Cancer refers to a collection of related diseases in which body cells begin to divide and replicate uncontrollably, spreading into surrounding tissues. Cancer is one of the leading causes of death worldwide with 14.1 million new cases and 8.2 million cancer-related deaths worldwide occurring in 2012. By 2030, it is expected that the number of new cancer cases per year will reach approximately 23.6 million. There have only been slight increases in life expectancy for diagnosed cancer patients in the last 40 years making it an epidemic in the modern world. Experts across the globe continue to search for a solution. While there is still some debate around the topic, CBD has been hailed as having anti-tumoral properties and slowing cancer cells. Research has pointed to a positive effect from CBD that inhibits the growth and spread of certain cancer cells as well as the formation of new blood cells that feed a tumor while leaving healthy cells unaffected, behaviors which could one day lead to a major breakthrough in cancer research – especially since conventional chemotherapy drugs have devastatingly indiscriminate as they damage both the brain and the body. There was one study where researchers found that using Chemotherapy in conjunction with CBD, it reduced the proliferation rate of the cancer cells and tripled the survival rate of the test subjects with pancreatic cancer. However, it is not being prescribed for this reason just yet, as there is still much research and studies left to do before it can be approved and accepted as a standard medicine. Probably the most revered among cancer patients enduring the rigorous chemotherapy treatment is CBD’s powerful pain relief abilities. This particular benefit helps cancer patients improve their quality of life as they fight for their lives. The way CBD interacts with the body’s endocannabinoid system results in a regulation of functions such as pain, sleep and immune system responses. It’s especially effective with bodily aches such as migraines, arthritis related issues due to its anti-inflammatory properties, muscle spasms, joint pain and more. What are often used to treat these high levels of pain are opioids, but the problem there is that they are highly addictive ( hence the current national emergency declared due to the opioid epidemic in America.) A popular alternative is CBD oil, a treatment that has no side effects or addiction risks associated with it. A common issue when undergoing chemotherapy is nausea and a resulting lack of appetite. This is many times the cause of that rail-thin look many patients develop as they are not able to keep down food and nutrients that their body desperately needs to continue fighting. Staying as healthy and stocked up on essential vitamins is absolutely essential when combating cancer and enduring the treatment. CBD oil helps stimulate the appetite and helps fight nausea, giving cancer patients a better chance at eating all the necessary meals to keep their nutrition up. There’s no doubt that fighting cancer and subjecting yourself to the treatment is a tough, long road that can, at times, seem like it’s never-ending or like it’s an uphill battle. Some patients end up reaching a mental space when they feel like there’s just no hope, like they’ve already lost and can mentally and emotionally give up. When your mind throws in the towel, many times, so does your body. It has been reported that CBD can help fight off this depression and/or anxiety, regulating the parts of the brain that deal with these issues. It can help stabilize a patient’s mood, keeping them from spiraling into a depressive state. When fighting cancer, your body needs all the help it can get. While clinical trials are still limited and CBD has not been declared the miracle drug for curing cancer (yet, anyway) the research continues. CBD has, yet and still, shown clear signs of providing those dealing with the monster illness known as cancer with serious symptom relief as they embark on the fight of their lives. The incredible results it has already shown has resulted in a disruptive new wave of interest, investment and advancement in the medical world, with CBD oil and all cannabis derivatives at its center. Those interested in CBD and cannabis derivatives for their healing and symptom relief abilities should continue to be on the lookout for more studies, trials and supportive legislation. Always remember it’s important to consult with your physician before introducing CBD into your pain management treatment plan.